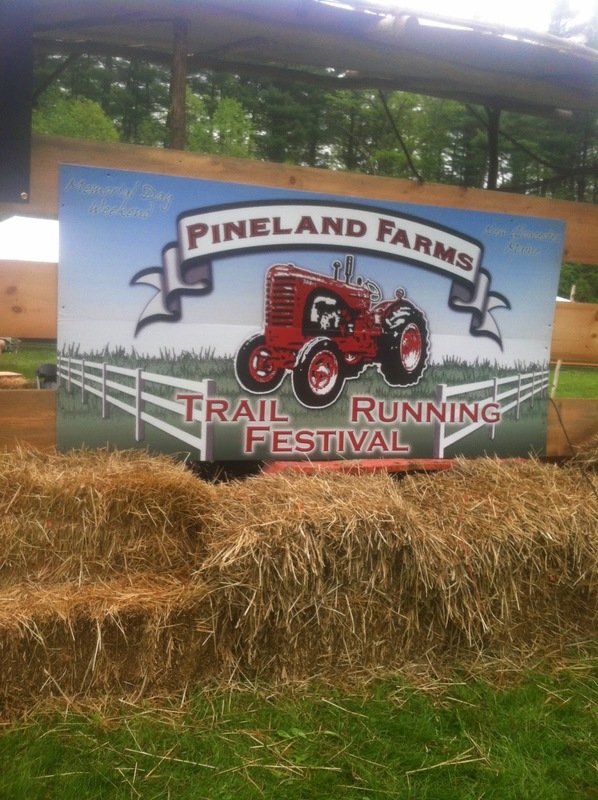 A few weeks ago Ward suggested I do the Pineland 25k. Sure, why not. I thought. It's only 15.5 miles. On trails. Up hills. Down hills. No biggie. I went into this race with my only goal to complete it. I didn't really care what my time was, because it was going to be an automatic PR, having never done a 25k or a 25k trail race before. The longest trail race I have completed was the 5 miler Bond Brook Tread Fest nearly two years ago. After prom was over Saturday night, we did the quickest cleanup ever. Basically the remaining adults tossed everything they could as fast as they could, in the back of my truck and in a few other vehicles. I suppose that maybe today I should clean that up. I got home about 12:30 and crashed. Of course, Izzy, was super kind, and woke me up about 5:30. Not cool. Anyway, I managed to lay in bed for a bit, but didn't really sleep. So, I was exhausted and grouchy. I got dressed in my Spandits singlet and Spandits capris. Chose some shoes that would be okay trail shoes and that I wouldn't mind getting muddy, grabbed my water, fuel, ate my bowl of rice and peanut butter, kissed Ward and Izzy and headed off to Pineland Farms. When I got there, I immediately saw Eric, Danielle, and Sarah. Eric was so kind and offered sherpa duties. But I declined because I already had my fuel in my arm band, bra, and little capri pocket. He was super awesome and did come to cheer me when I ran past the starting line area - which made my day. Anyway - the race started just after 10 am. Basically, the trails were gorgeous. There were tons of hills and fields. There were great water/fuel stops throughout the course as well. I did stop several times to refill my little Nathan Handheld and to drink Gatorade. The weather turned out to be gorgeous and it got hot. Real fast. Remember I mentioned the hills? There were a lot. But it didn't surprise me. Ward gave me a heads up and told me there were tons. At first I didn't walk them. But then, I hit the wall. And I walked quite a few at the end. Which wasn't a big deal because every single person around me was walking the same hills as well. With about 8k left, I met up with another runner, Emilie. I had been admiring her Patagonia capris with a great fuel pocket in the back. We ended up running together at the end. We chatted a little, struggled together, and pushed each other to the end. That is what I love about running. When you meet that super supportive person out there and you push each other to the end. I finished 2:43:13 later (10:31 pace). Which, honestly, is better than I thought I'd do. Next year, I'd love to do this race again. And it's going to be my goal to beat that time! Which means, I need to run more trails. I have been planning on rejoining the Bond Brook trail series this summer....and now I can say, after running yesterday, game on. Awesome job mama! Love trails, can't wait to get back into it 👊😎. Game on is right! An hour away just doesn't sound very convenient ...especially with kids!!! Stick to those awesome fields you have!!!! You will and you will rock!!! Thanks! Love those tights and great job for sticking through. 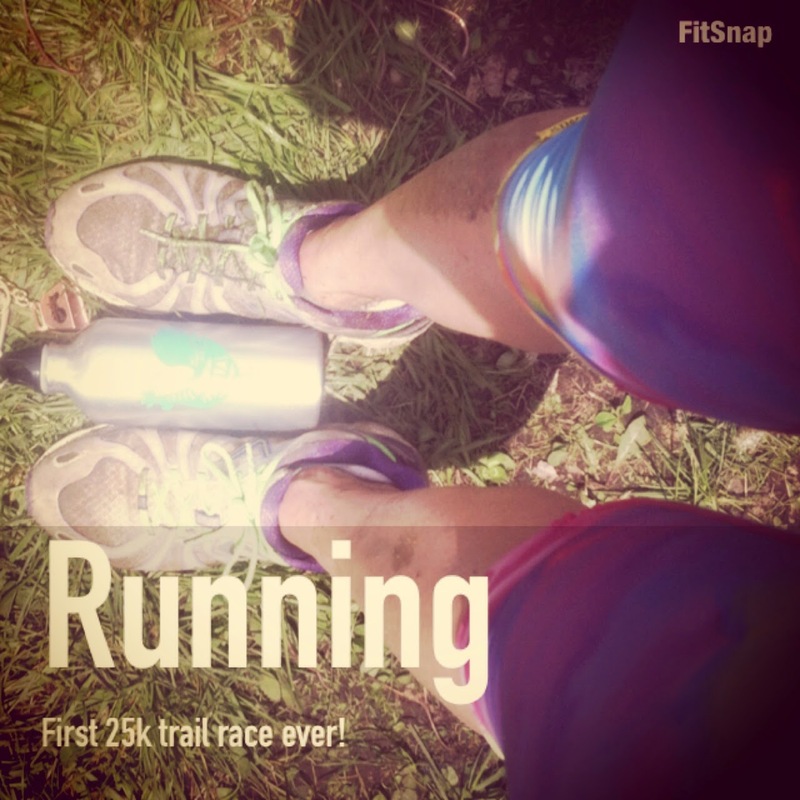 I'm not a big trail runner (though I love the idea) because I have a constant fear of falling. Also I live in the middle of Chicago, so I don't see that happening, haha. But a great trail race to start on! Lighting the fire, and plenty of things to work on! Congrats! 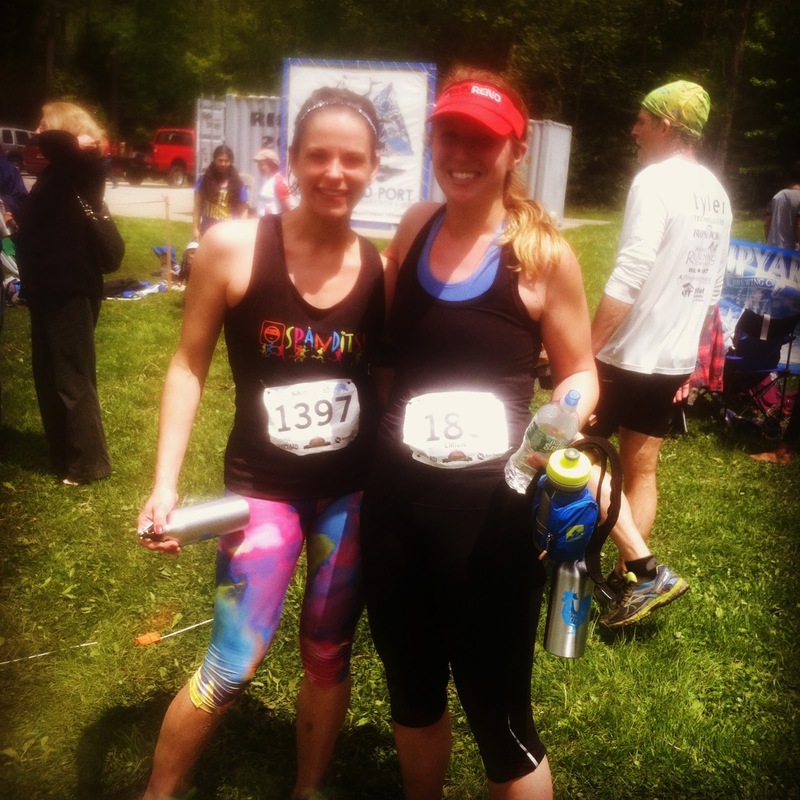 Trails and hills….sounds like a tough race! I've never done a trail race, but have recently started getting interested in maybe doing one at some point….. Awesome work girl!! Hills are my enemy! Sounds like you had a GREAT Run! Hills are my enemy too. I'm trying my best to conquer them. :) thank you!!! Thank you!!! They are tough. Hoping that the more trails I do, the easier road races will be! Thank you!!!! I love those tights too. I got lots of compliments on them yesterday too. Actually, I get complimented on them every time I wear them! Spandits stands out for sure. Yea...I am sure you don't have too many trails in Chicago! Great job! I ran trails in Acadia this weekend and I was struggling. Trail running is so much harder! You did great on such a tough course! Congrats! That's a great time! 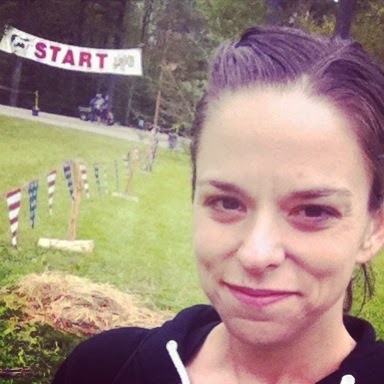 I've definitely embraced walking up hills during a trail race, it's a survival strategy! (And I'm looking at this race as my first 50K).